We are delighted to bring you this updated version of the Definite Second Life Feeds. New features have been implemented such as, division by blog type (Men, Women, Poses and Deco). In addition, you have the link to the original post directly shown on the feed. Finally, we have gathered the authors, and created a general link at the end of the posts where you can go straight to all the posts by this blogger on the site. We hope to see there! 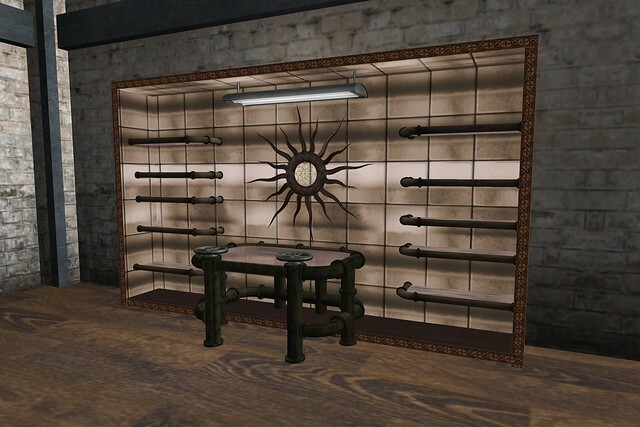 Angel posted: " Exile::Hold On Loosely @ FaMESHed Glam Affair - Cleo - America - 05 A Legal Insanity - coco tunic stone Legal Insanity - Superstar aviators silver summer [Gos] Boutique - Grace Sandals - Mirror [MANDALA] SITENNOAH - watch & bracelet "
If you can't tell already, The Arcade is in full swing. When I saw the previews for the World Tour set by Standby, I knew I had to have some of it in my house. I ended up getting almost all of it from The Arcade, trading, and yard sales. 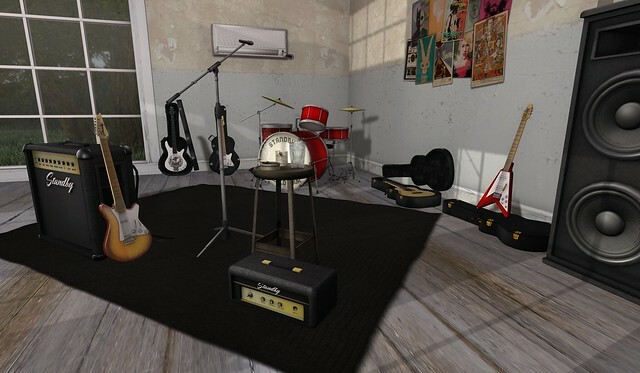 All the music related stuff you see if from Standby Inc., I added the stool, ashtray, and drinks from Post. All the instruments, speakers, cords are all available at The Arcade, and there are different versions and colors of each of what you see. When I took the picture for this blog post, all I could think of is one of those inspirational posters you see in like a dentist or lawyers offices. DREAM BIG.... "Your attitude, not your aptitude, will determine your altitude." ya know, those cheesy posters? That's really not my style, inspiration comes from within, and not a internet meme or a sign in a office, so I titled it after an Aerosmith song. On the Sounds Gravis Beach sim, there is a small gacha event going on. Mostly girls stuff, but I was able to get the pocket t-shirt from 2Byte, and the gacha pants from Nerd.P. You are able to grab a demo to see what size you wear, then from the gacha machines, you could gacha the size you actually wear. Plenty of styles/colors for both the pocket t-shirt and the shorts. The new round of "The Challenge" just started, the theme being Factory/Industrial. Read more about "The Challenge" and the desingers participating HERE. 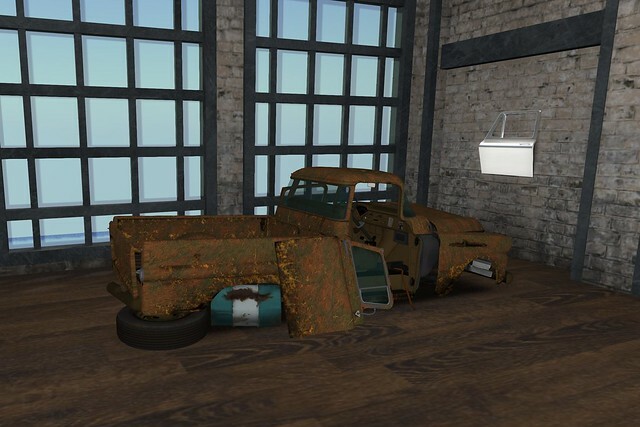 All of the pictures below are inside the The Little Warehouse Skybox by 22769. The beginning of each month, a group of designers are given a announced theme. On the last day of the month, the designers release their designs for "The Challenge". 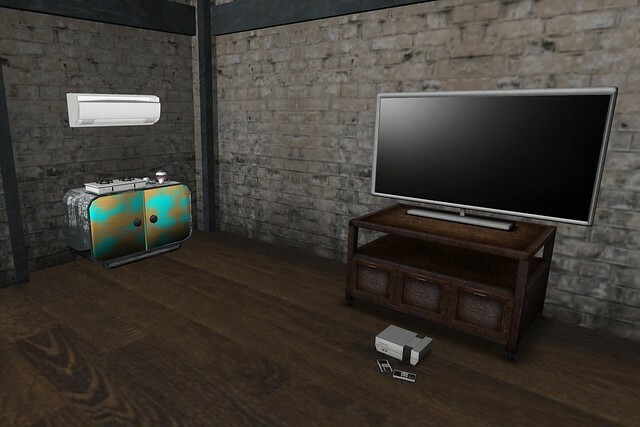 They can make decor, homes, skyboxes, garden accessories, whatever they like. This months round of "The Challenge", the theme is Industrial. 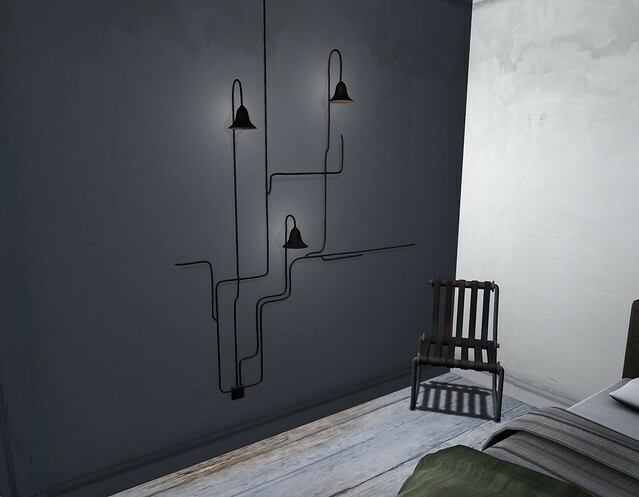 Kuro made the pipe lamp, comes in black and gray. The Lap Factor Chair from %Percentage comes with and without the shadow, and is loaded with guy, girl, and couple sits. Angel Style - Owner's Feed! 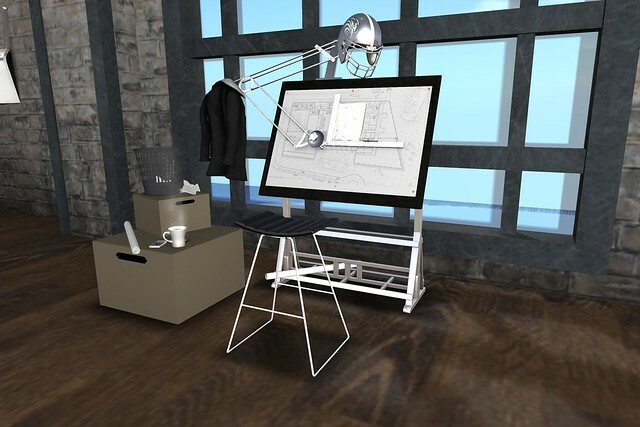 Copyright Definite Second Life 2012. Simple theme. Powered by Blogger.